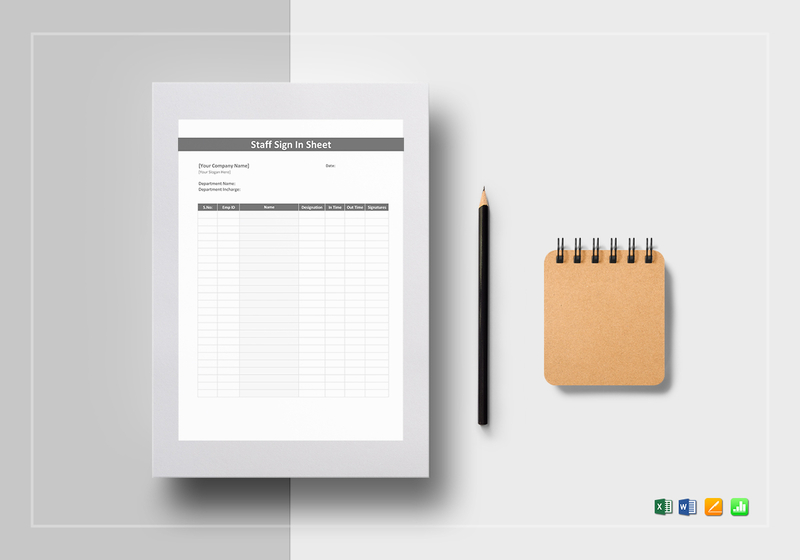 Keep track of official working hours of your employees using this Staff Sign in Sheet Template. 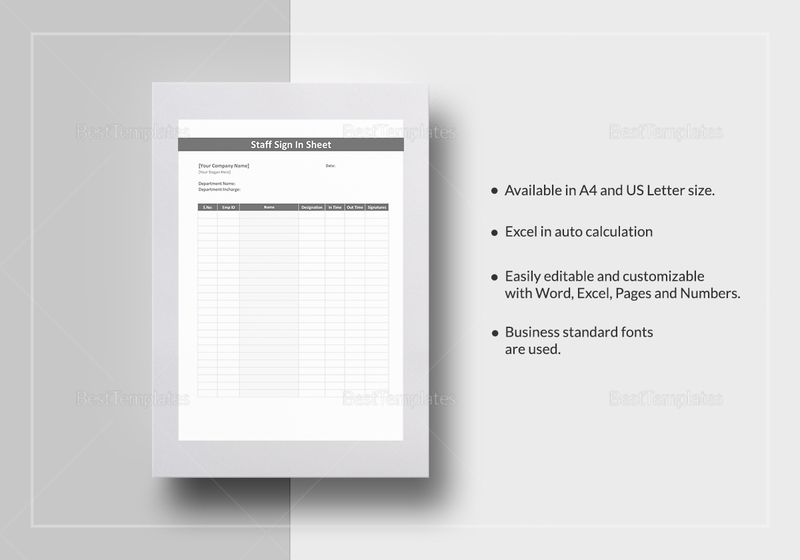 Download now and get immediate access to this simple but easy to edit template with standard business fonts in A4 and US letter sizes. Simply edit with any chosen software application or programs compatible with MS Excel, MS Word, Numbers, or Pages file formats to adjust or change the variables of the sheet.